Economical harmonica holder for solo entertainers, or instrumentalists who wish to double on harmonica. 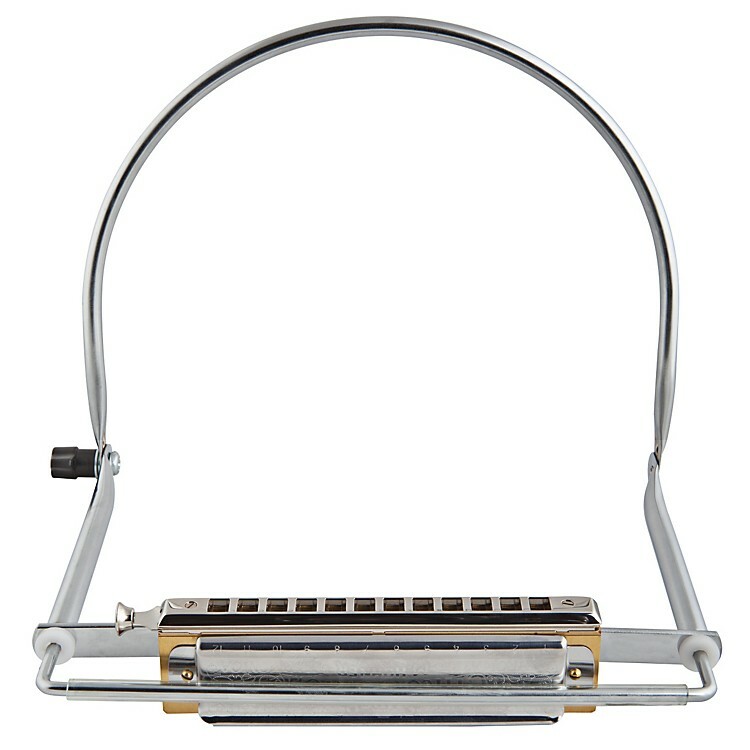 Spring-loded, you just drop your harp into the holder and the neck bracing keeps it in place hands-free. Order today and add an instrument to your presentation.